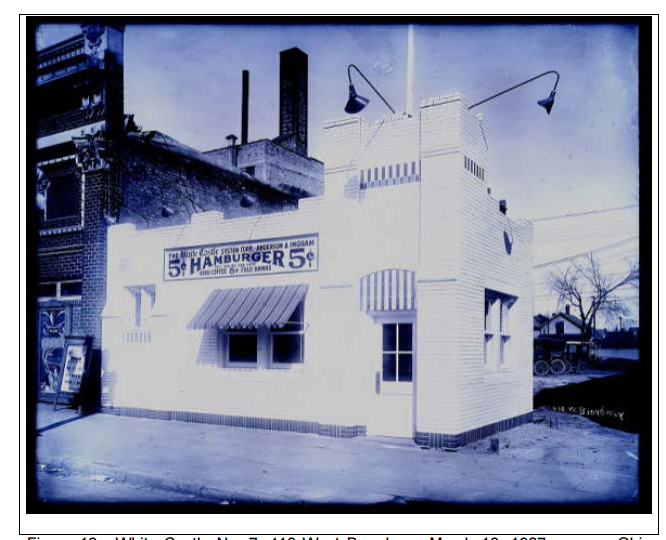 The vacant lot at 2601 Lyndale could soon get a grocery store and 75 apartments, but ten years ago it was a single story brick hardware store. 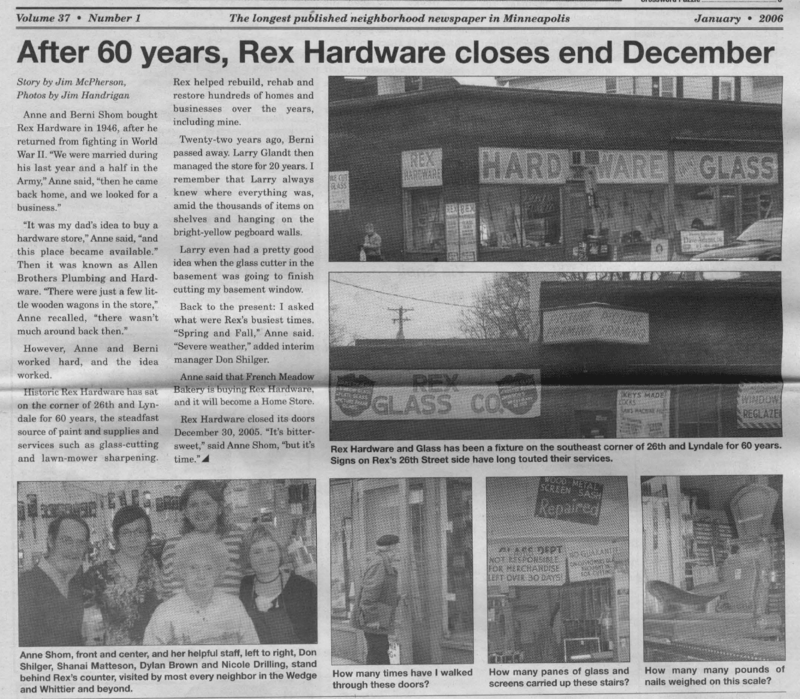 Here’s how the store’s 2005 closing and the 2010 demolition was covered in the Wedge newspaper (all this old news was pirated without permission, as usual). 2007 plan that didn’t happen. 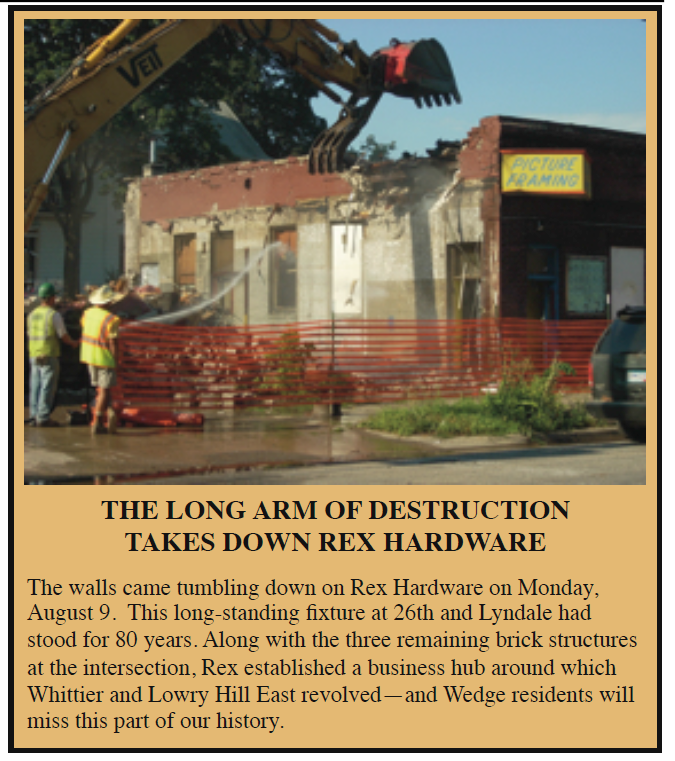 The long-vacant building was demolished in 2010. 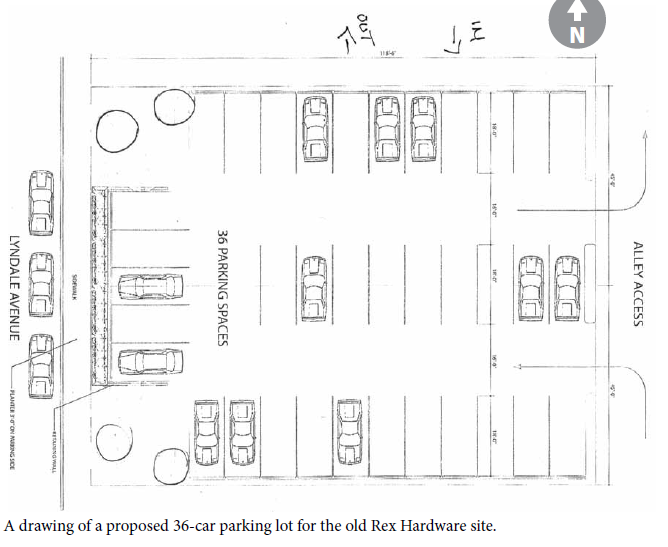 2013 parking lot proposal for French Meadow. Slack chat transcripts are the latest digital-age innovation in lazy neighborhood journalism. Only on wedgelive dot com. yang giving shout out to constance vork on a historic matter. yang seems like he just got back from eating too many sliders at lunch. can’t clear his throat. HOLD UP, blong tried to make this historic? is that the kemps thing? 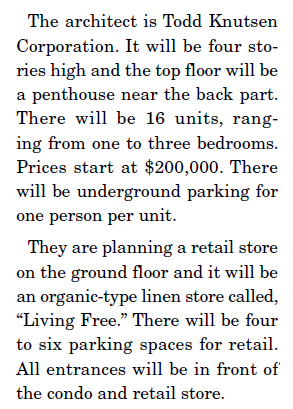 parking lot is a reasonable thing to oppose but… not historic. 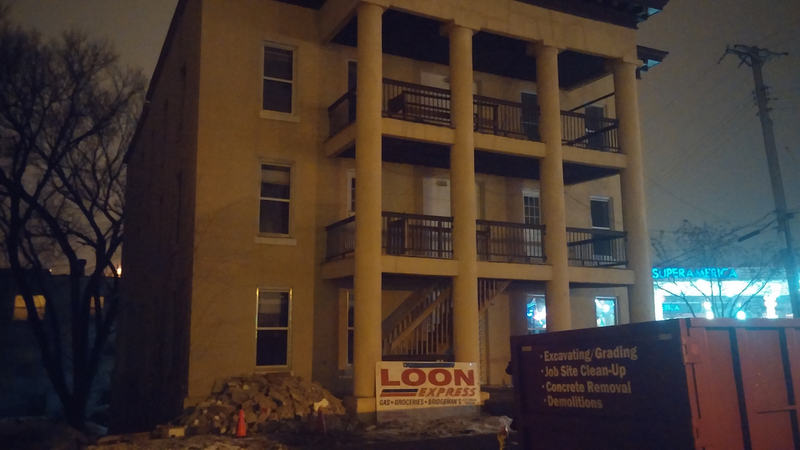 zoning reform now: please, won’t you save blong from embarrassing himself? 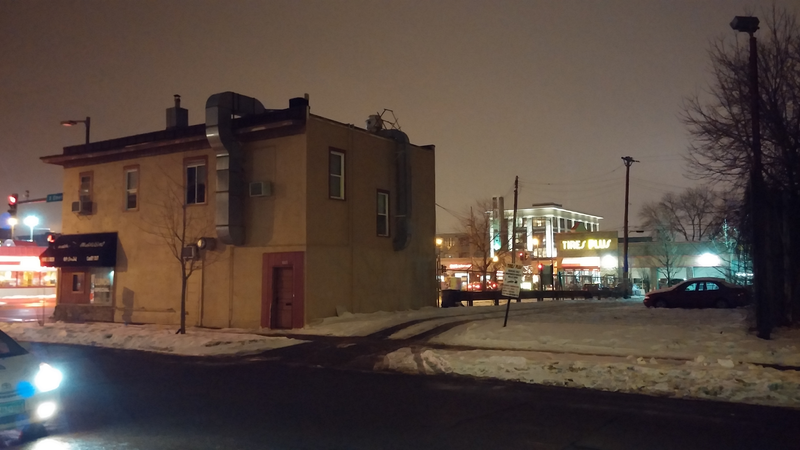 Wells Fargo had their appeal granted at the Zoning & Planning Committee yesterday. The vote was unanimous to allow the new Lake & Humboldt Wells Fargo to exceed the parking maximum by eight spaces–for a total of 25. As a condition of the parking variance, the bank will need to commit to sharing their lot with the neighborhood or a local business during non-banking hours. 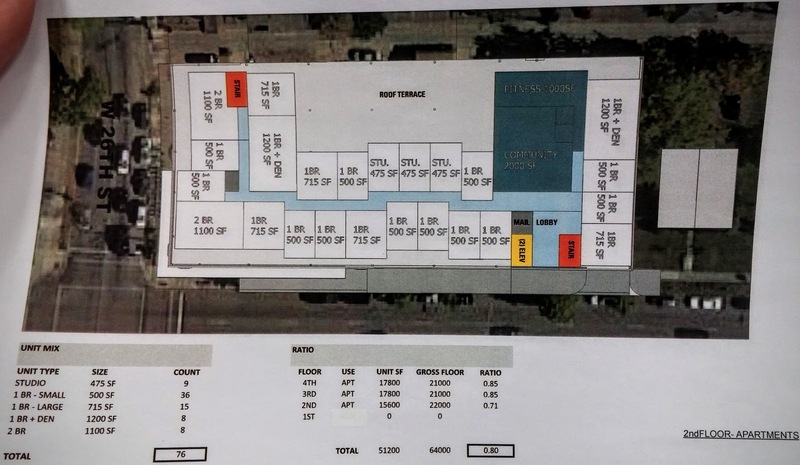 The parking maximum is lower than it otherwise would be, because the site is located in the Lake and Hennepin Pedestrian Oriented Overlay District. This calls for a more pedestrian friendly environment, which includes smaller parking lots. A drive-thru, similarly prohibited by the district, was allowed by the Planning Commission last month. I can’t understand the argument that a bank will bring parking disaster to the neighborhood. Banks are open during banking hours. Banking hours coincide with the time of day that many residents, even non-bankers, will have driven their cars off to work and parked them in someone else’s neighborhood. Council Member Lisa Goodman seemed to be thinking along those lines when she asked the Wells Fargo representative what their plans were for the empty lot during off hours. Answer: keep it empty. @MattyLangMSP @nickmagrino Saw a pedestrian taking out money from the drive-through ATM the other day. Would’ve made a great photo. Council President Barb Johnson made the social engineering argument, saying we shouldn’t use the parking maximum to “force people to use a particular form of transportation.” I should remind you that Barb had no problem forcing people build more parking when she weakened reforms to parking minimum regulations last year. And then there was her usual anecdote about how hard it is to find parking on her Uptown shopping trips. You may remember last year when Barb griped about that one time she had to walk a block and a half in Ward 10. Despite approving the extra parking, the committee was largely in agreement that this is a pretty terrible project for this location. “It needs density, it needs more than one story, and there’s way too much surface parking,” said Andrew Johnson. 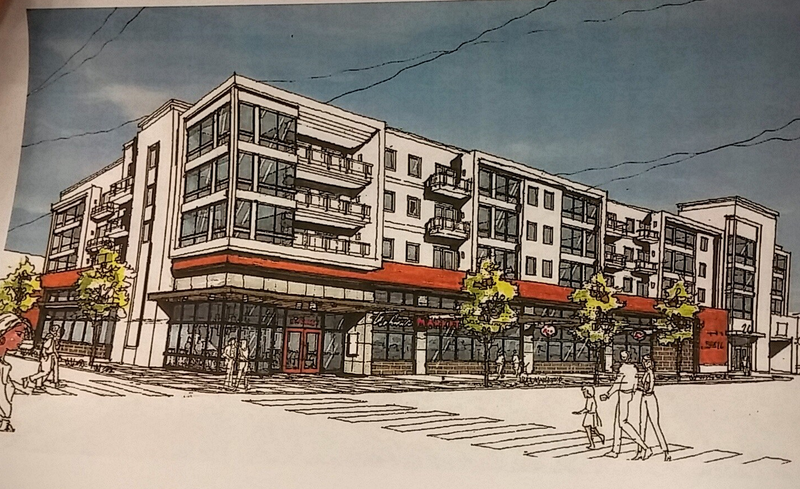 Lisa Bender described the sentiment she hears from the neighborhood association as a question of “how do we get this project to totally change into a different form that’s not a single story building surrounded by surface parking?” It’s too late for that. 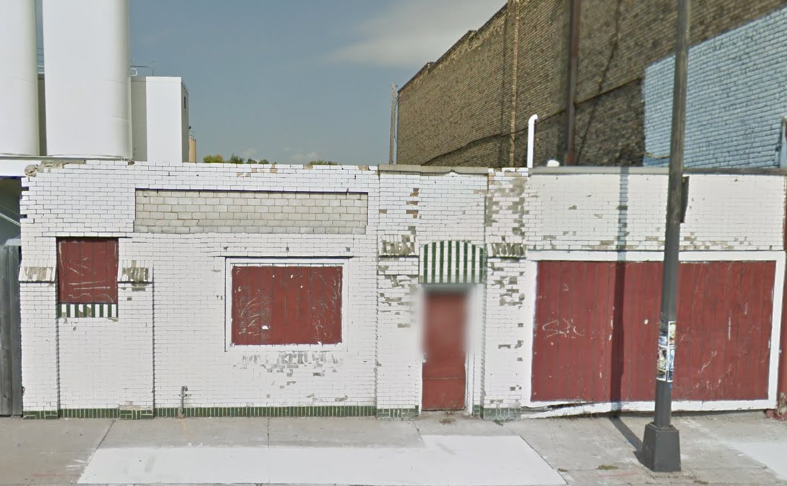 Uptown is stuck with this over-parked, single-story, drive-thru bank for decades.